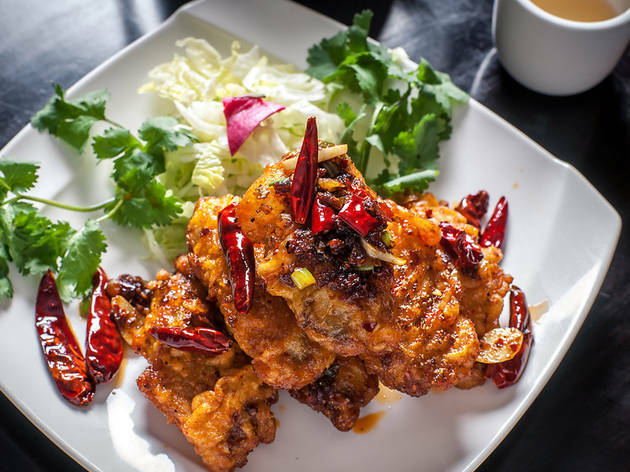 New Yorks Chinatown is packed with amazing dim sum restaurants, fun-loving karaoke bars and top-notch Chinese bakeries offering a dizzying array of pastries. 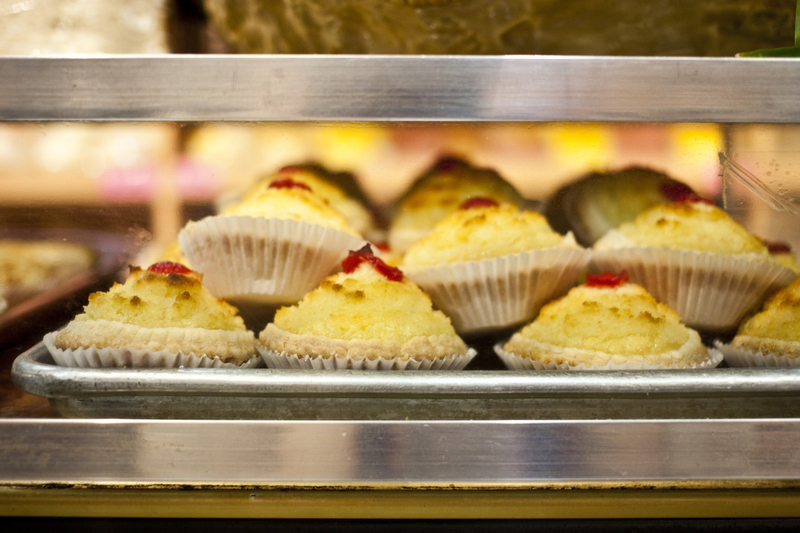 Most are known for one exceptional item, however, whether thats a buttery egg tart, a fluffy sponge cake or a lotus-filled hopia. 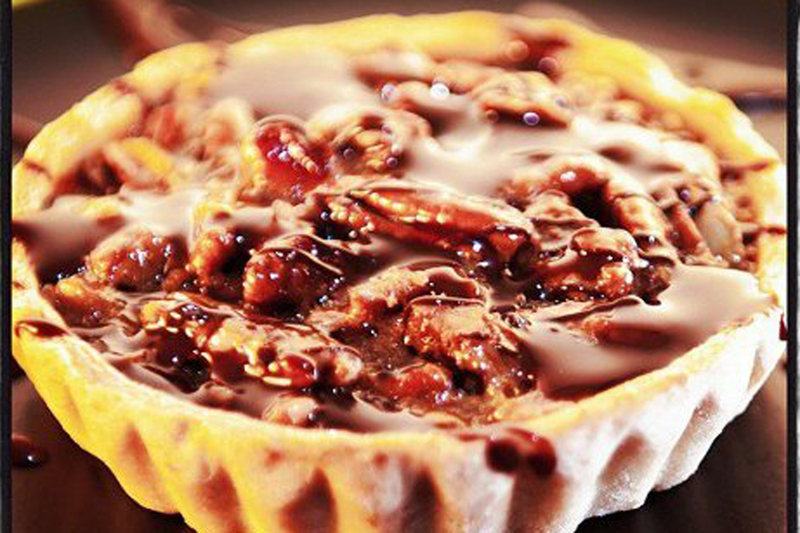 It doesnt get much sweeter than this. 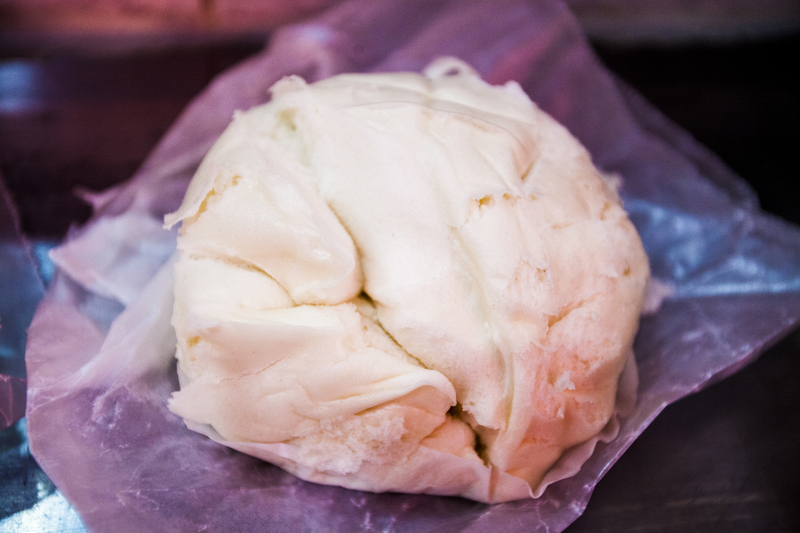 This tried-and-true mainstay continues to offer some of the freshest steamed buns in the city, each less than $2.50. If you only have a buck to your name, you can’t do much better than the classic pork bun (80¢), still one of the best deals in town. 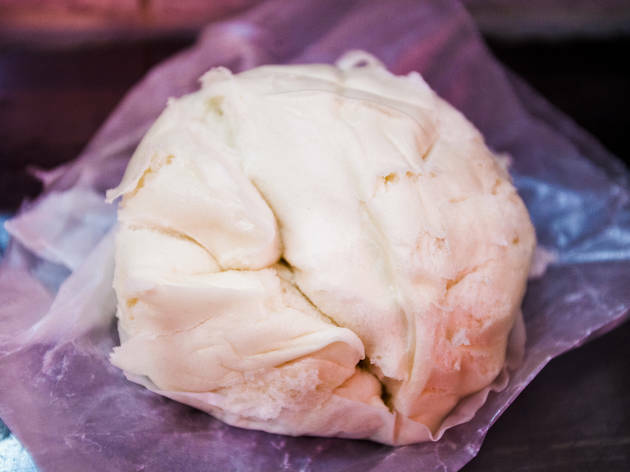 Get your mind out of the gutter—the giggle-inducing name doesn’t refer to some Urban Dictionary–sourced innuendo, but to this hole-in-the-wall’s specialty: the steamed bun. 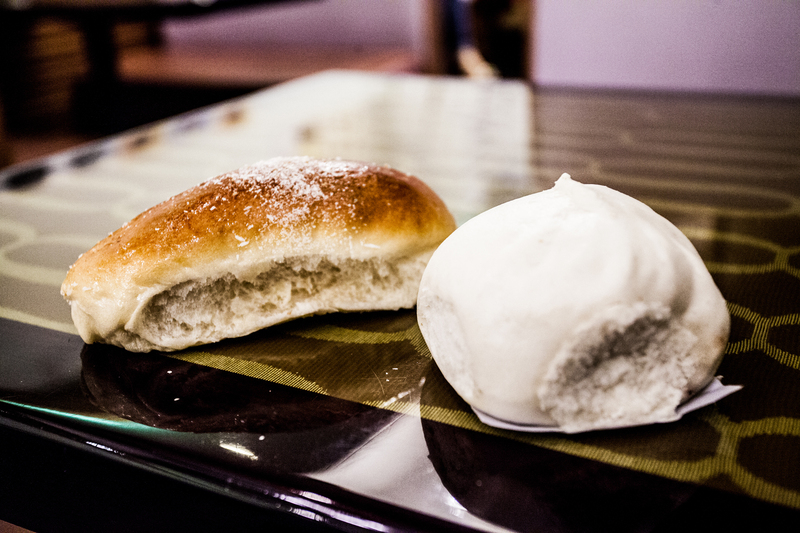 Thirteen varieties of stuffed, cotton-light mantou cover every inch of surface space in the small takeout shop. 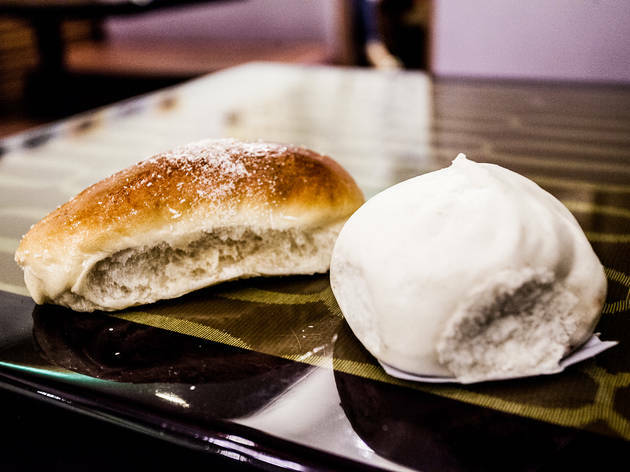 The buns are fluffy, mildly sweet clouds of dough: rich, nutty red-bean paste fills one; salty-sweet duck egg yolk oozes over another. The must-have, though, is the pumpkin bao, a perky yellow bun that reveals smooth, mellow squash puree. Crack cake. That’s what the renowned sponge cake should be called at this 30-year-old Chinatown coffee counter, so criminally good, you’ll think it’s laced with something illegal. It doesn’t look like much—a squishy, boat-shaped white-sugar cake, pulled from the oven, wrapped in paper and hidden in Tupperware behind the counter. But its unassuming appearance belies an angel-food-like interior, ethereally light and mildly sweet. Even better? The shop has launched a green-tea variety, smaller than the original but steeped with earthy tea flavor, mellowing out to a vanilla finish. The Boston pie at Yi Shih Yeh’s Taiwanese sweetshop is not what you’d expect—for one, there’s no chocolate glaze. 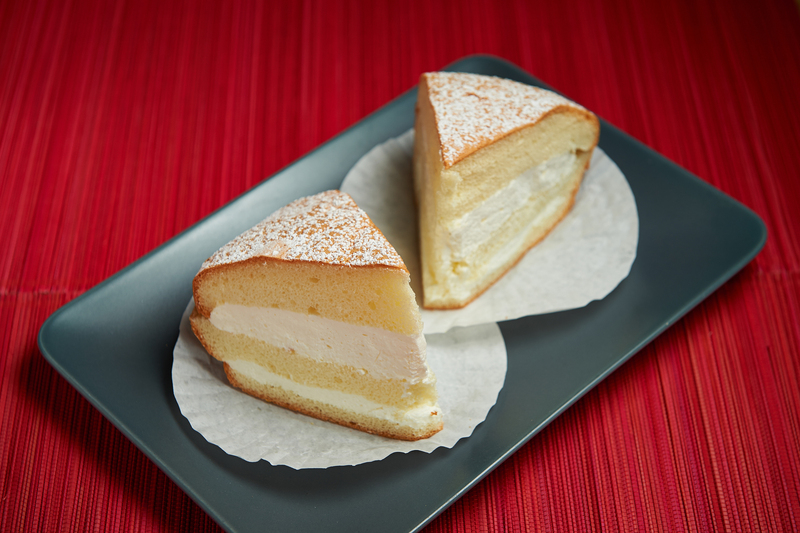 Instead, this fan-favorite take on the classic treat is a large, sugar-dusted whoopie pie, with two flaky, delicate circles of sponge cake sandwiching vanilla-cream custard. 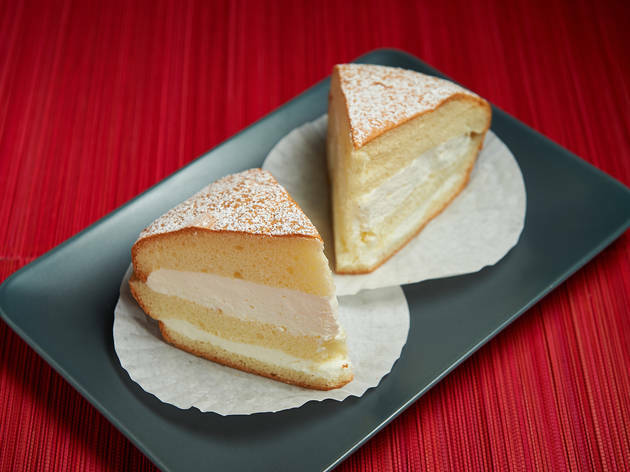 The teensy Flushing storefront also has a limited but top-notch menu of cakes, including a sizable selection of roulades, in two display cases. The green-tea roll is a delectable swirl of crumbly, poundlike cake and whipped vanilla cream, brightly hued but subtly flavored with Japanese matcha powder. 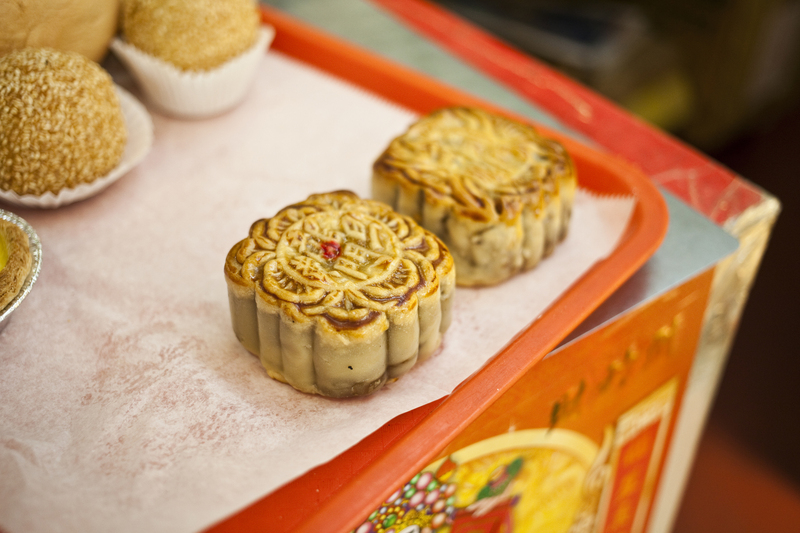 Han Chou’s steel-accented bakeshop has been a Chinatown staple since 1991, growing from a humble local bakery into a chain with more than a dozen stores throughout Manhattan, Queens, Connecticut and Chengdu, China. And the crowds haven’t waned one bit—sweets seekers line up, tongs in hand, before an amber-lit display of sugary buns, fresh bulk bread and Western-style pastries. 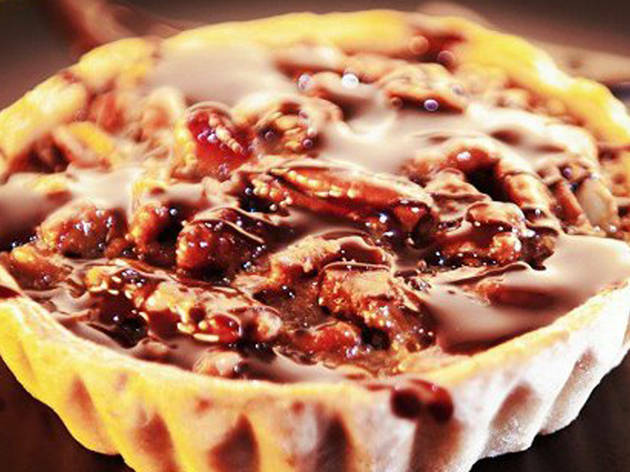 There are American touches, like a chocolate-walnut swirl and pullman loaf—the baker who taught Chow learned from a U.S. soldier during World War II—but the Asian goods are the real draw. Petite wonders include the taro puff, a purple, spiraled orb of moist, mashed root vegetable in a whisper-thin crust; and the mango mochi a chewy, Turkish delight—like rice-flour treat teeming with orange liqueur and fresh mango bits and juice. 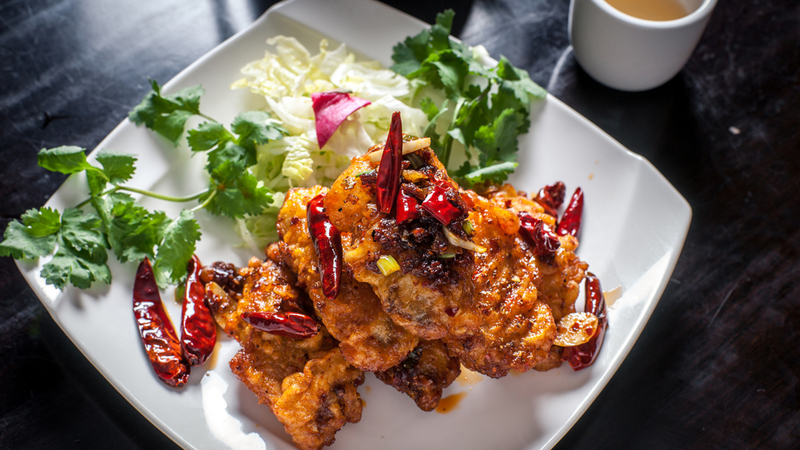 Homier than shiny chains like Taipan and Fay Da, this worn-in Mott Street den—sporting blush floor tiles, Formica two-tops and red paper lanterns—specializes in old-school Chinese desserts. 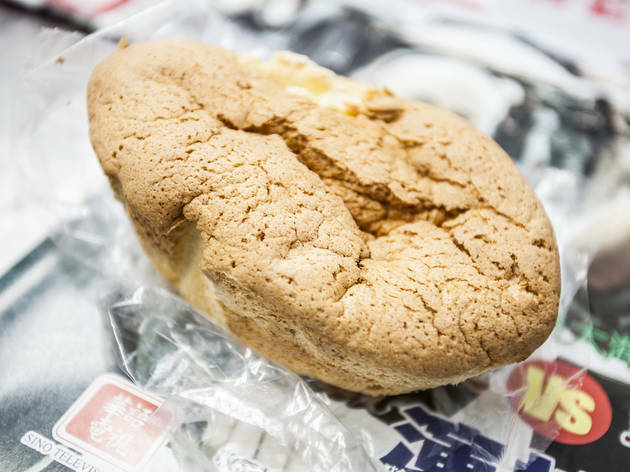 A sign on the storefront window proclaims, “We Have the Best Hopia,” a bean-paste-filled pastry introduced by Fujianese immigrants in the early 1900s. The rendition here is pretty damn delicious—a tender, flaky disc filled with savory-sweet black beans or lotus seeds. The rich, thick bean paste also serves as the center of the jin deiu—sesame-seed balls that trace back to the Tang Dynasty—whose crunchy seed coating counters the soft paste and chewy glutinous rice. 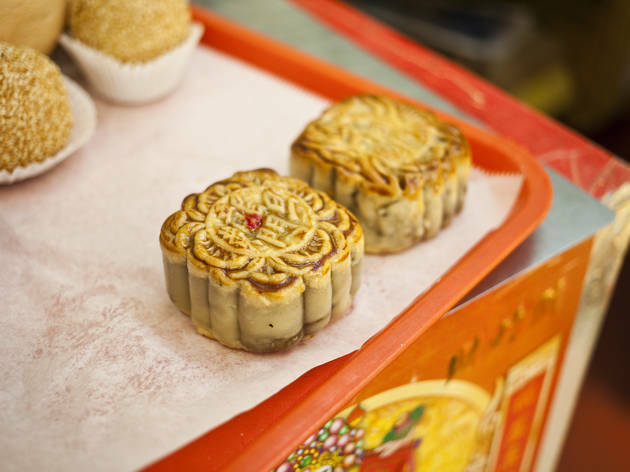 Moon cakes—the Chinese answer to the holiday fruitcake—are traditionally enjoyed during China’s Mid-Autumn Festival, but this bare-bones bakery doles out the special-occasion sweet year-round. 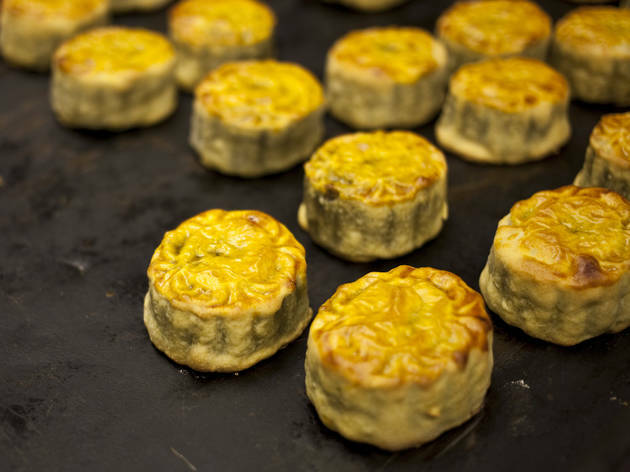 Owner Tak Law—a Hong Kong native—fills the mini cakes with dense lotus-seed paste, lending them a light nuttiness. 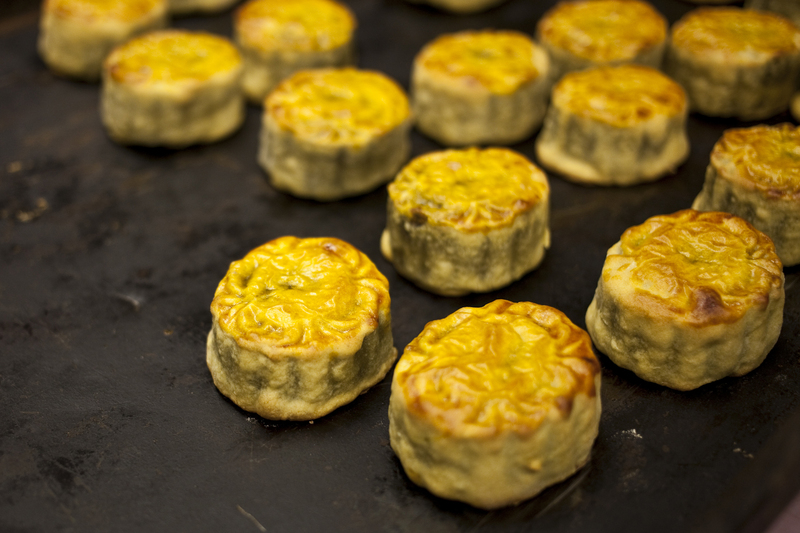 The cakes are punctuated with a rich, cooked-through duck egg yolk that adds a nice salt (and, when cut in half, resembles a moon). The funky treat is an acquired taste for Western tongues, so for more familiar fare, look to featherweight, mildly sweet cakes like the almond roll, sheathed in nut slivers, or the simple, spongy angel food cake. 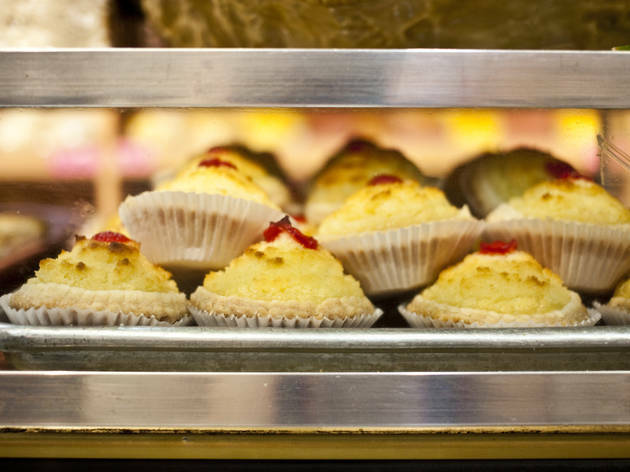 Clued-in locals lamented when Grand Street’s Manna House Bakery folded in 2010 due to lease issues—luckily for neighborhood egg-tart mongers, there are three other locations of the custard-pushing chain sprinkled throughout the neighborhood, including this quick-service Mott Street outpost. 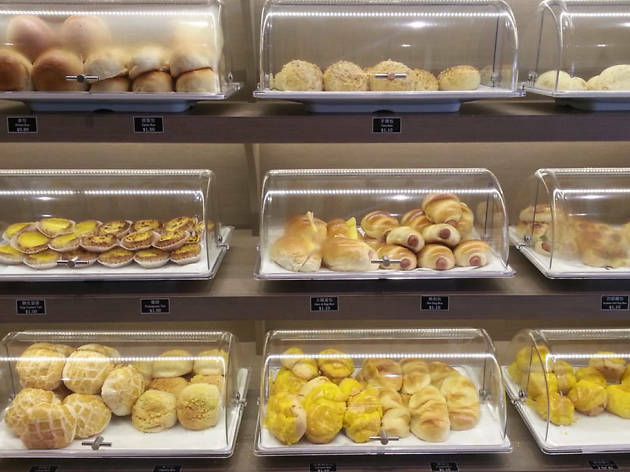 Crammed between fruit stands and seafood markets, the small shop does justice to Hong Kong–style buns and pastries, drawing in a boisterous crowd of Chinese natives in the AM when sesame balls, cocktail buns and sponge cake are piping fresh from the oven. The egg tarts are a quick sellout, with a buttery, shattering crust encasing a soft-set center that tastes purely of egg and sweet milk. 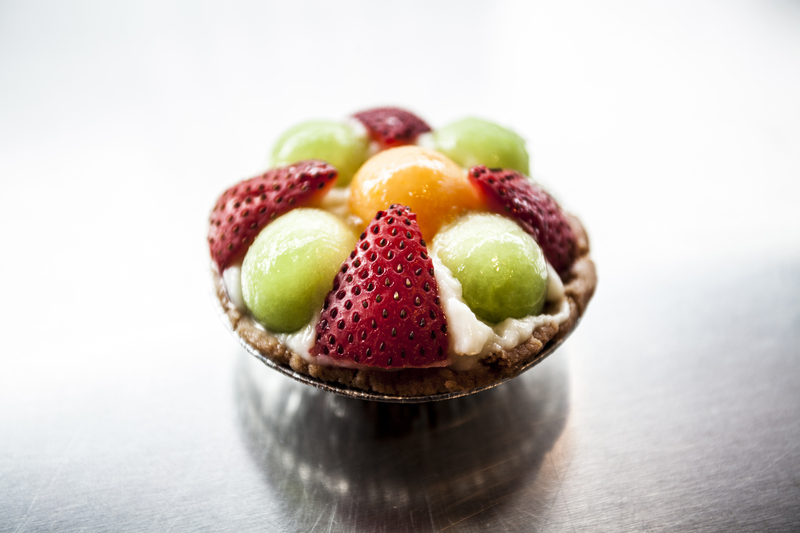 One of the newer options on Chinatown’s crowded Bayard Street, Simply Bakery scores high marks for its modern, clean space and the helpful staff that guides customers through the display cases full of sweet treats. 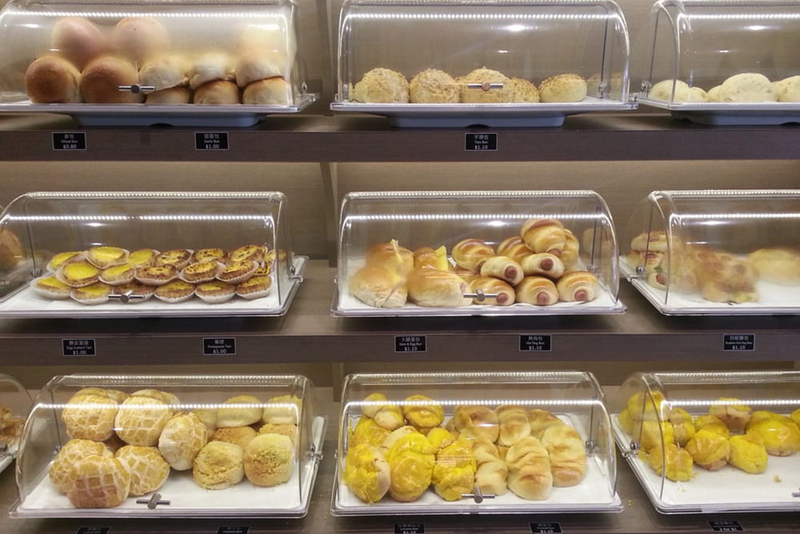 (Note: Unlike many Hong Kong–style Chinese bakeries, this one is not self-service, and has slightly higher prices to match.) Customers come for the almost too-cute-to-eat turtle bread, plus the usual lineup of affordable buns (pineapple, red bean, purple yam and coconut cream), Chinese-style Napoleon cakes, Portuguese egg custard and roasted pork char siu bao. Once your sweet tooth is sated, a full menu of coffee, tea and bubble tea is available to wash it all down.